Wag n’ Wash in Redmond to open by the end of the year! Rose Beza, a former Microsoft employee, and self-confessed pet lover will be opening her first Wag N’ Wash in Redmond, WA later this year. The store is apart of a 15 store expansion plan for the Greater Seattle Area, with one store currently open and more stores opening in 2018. 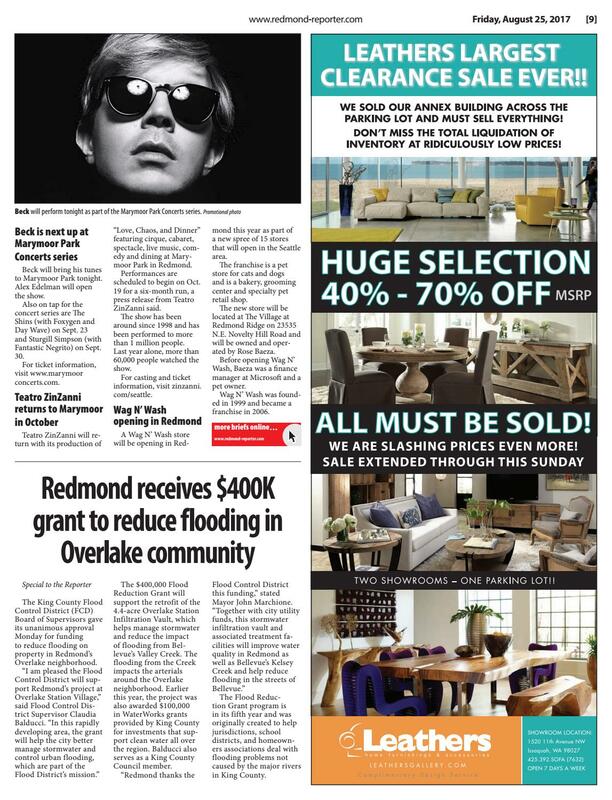 The new Redmond Ridge store at the Village will join the Queen Anne store which opened in April of this year. In an effort to help the animal victims of Hurricane Harvey, Wag N’ Wash has donated $4,013 to the Houston Humane Society, a non-profit Pet Rescue, Adoption, and Shelter dedicated to ending cruelty and abuse of animals in the Houston area. After Hurricane Harvey hit, the shelter has committed to providing shelter and care for any pet that has been separated from their owner. From September 9th – 10th every $5 from every self wash donated to the Houston and Humane Society. The participating stores included Littleton CO, Castle Rock CO, Colorado Springs CO, and Seattle WA. Local communities came out to support the cause with a total of 658 washes occurring over the two days, plus an additional $185 in donations. Supporting local non-profit animal shelters is nothing new for Wag N’ Wash. In 2016 alone Wag N’ Wash donated over $100,000 worth of food, free washes, merchandise and money to local shelters in their communities. Additionally they have worked with local rescue groups during adoption fairs and have been responsible for the adoption of more than 2000 cats and dogs. To learn more, find the full article HERE. Eagan, Minnesota 55122, Wag N’ Wash sees big potential for the area. On September 1st, Wag N’ Wash announced their plans to open another location in west St. Paul. This location is slated to open in early 2018, where guests will have access to an all natural pet bakery, pet cleaning and grooming services, and a full-line of products for furry friends. With this announcement, they also plan for 10 more locations to hit the area within the next few years. Jon Wagner, the new St. Paul Wag N’ Wash owner, was a former Public Accountant. He now looks forward to this new career and opportunity. He and his wife, Natalie Wagner, will operate the store together. Congrats Jon and Natalie! To learn more, click HERE.